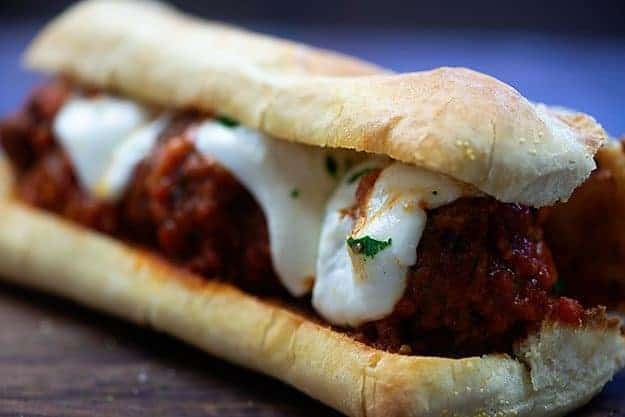 Crockpot meatball subs are pure comfort food and perfect for game day! 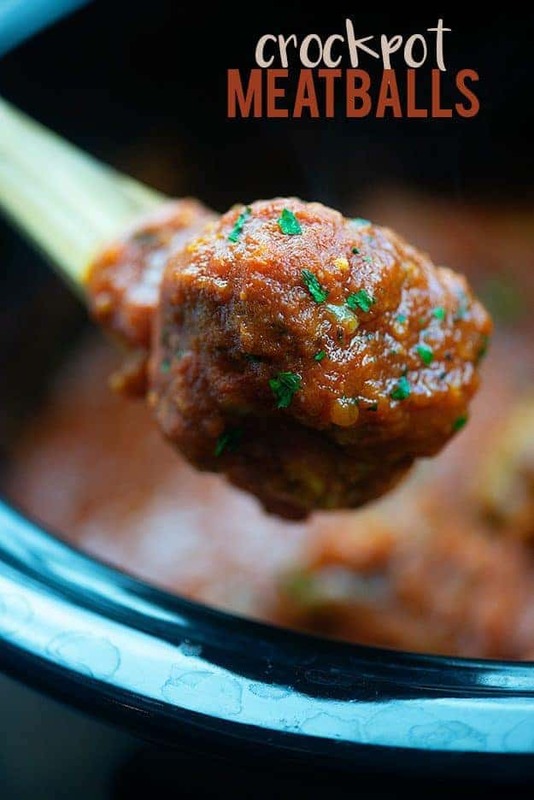 These crockpot meatballs are made from scratch and cooked in a simple marinara sauce. Serve on toasted hoagie rolls with loads of fresh mozzarella. There is a local Italian restaurant that everyone in town just adores. They have really good bread and their pasta salad is always on point. Everyone in town orders sandwiches from them for any kind of event, because they’re cheap and they are such a crowd pleaser. We get delivery from them about once a month and I usually just split a gondola with my husband, but a few months I decided to branch out. I got a meatball sub. Y’all, I honestly think it was the first time I’d ever ordered a meatball sandwich! I. am. obsessed. Like, super obsessed. 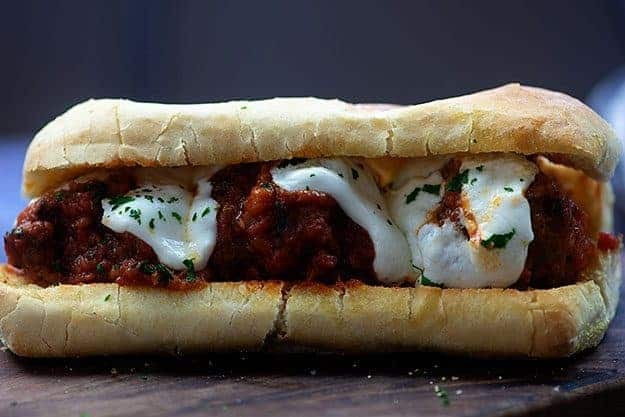 I decided that football season was the perfect time for meatball subs, because this recipe will feed a crowd, it’s fun to eat, and the flavor is amazing. 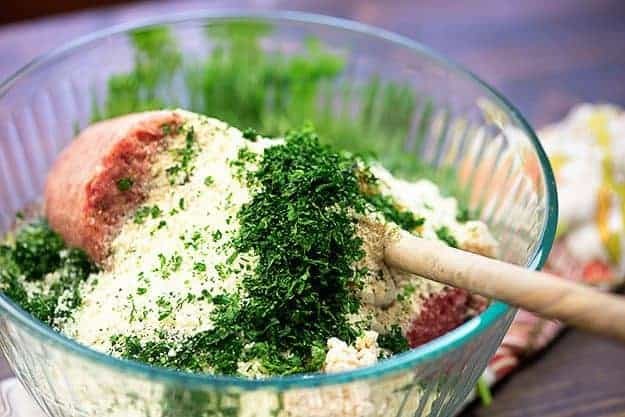 So, you’re going to toss all of your good stuff (ground beef, ground pork, bread crumbs, Parmesan, and some seasonings) into a large bowl and get to mixing. I normally use my hands to mix meatballs together. This way you don’t overmix and end up with tough meatballs. 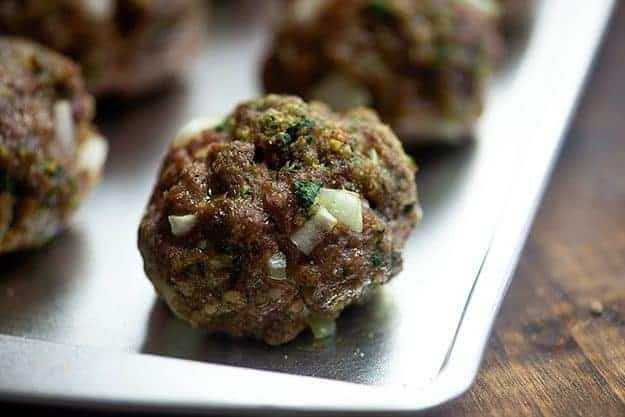 Roll the meat mixture into meatballs and pop them on a cookie sheet. 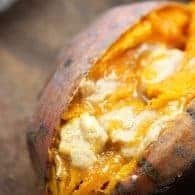 We’re going to stick these in a hot oven for 10 minutes, just to be sure they get a little brown on the outside and they hold together well in the crockpot. This will also help get a little fat off of them before we add them to the sauce. They’ll finish cooking in the crockpot. 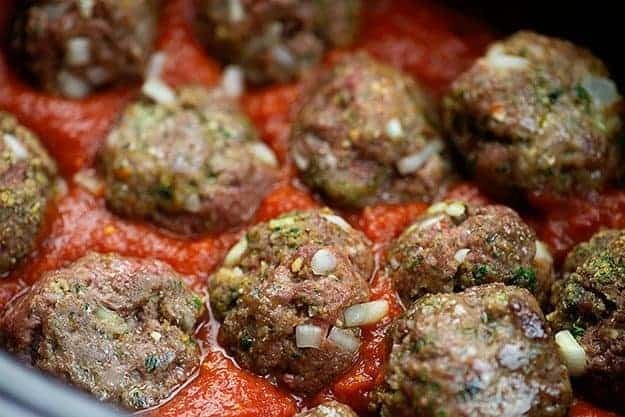 You could add these meatballs to plenty of different sauces in your slow cooker, but we’re going for meatball subs and that means tomato sauce today! These are Italian meatballs, my friends! That means we need a nice tomato sauce to cook these little guys in. Grab your favorite slow cooker (here’s mine! <– Affiliate link) and start adding the ingredients for the sauce. You’ll want to start with a jar of marinara. I normally use Rao’s, but your favorite brand will work just fine. 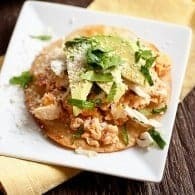 You’ll also add in a can of crushed tomatoes, plenty of minced garlic, some onion powder, and a little dash of red pepper flakes. You can add more red pepper, if you want a spicier meatball sub. Stir your tomato sauce together and add those meatballs in. I top my slow cooker meatballs with plenty of fresh parsley. Grab some hoagie rolls, my friend. 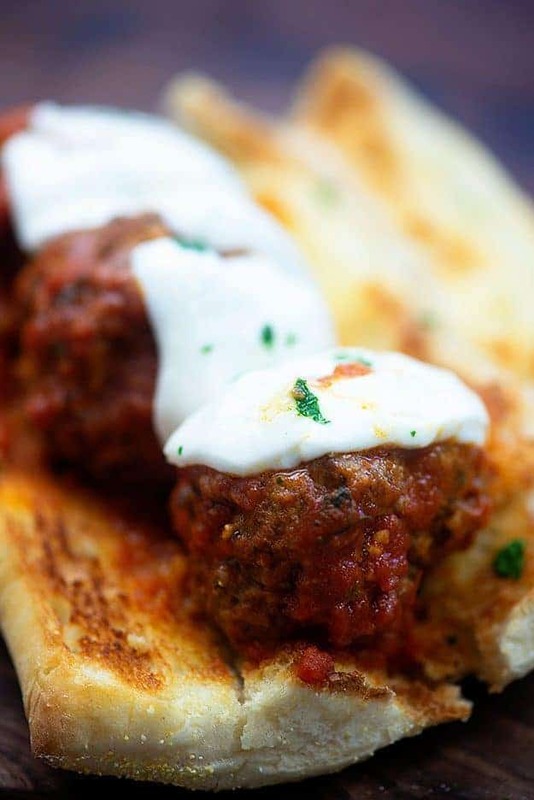 It’s time to turn those slow cooker meatballs into a delicious meatball sandwich. Open up your bread and spread the insides with butter. Sprinkle on a little garlic salt. Pop the bread under the broiler for a minute or two until it’s as toasty as you’d like. To assemble the sandwich, add a few meatballs to the bread. I can normally fit 3 meatballs per roll, but it will depend on the length of the bread you buy. Top the meatballs with a little extra sauce and then some fresh mozzarella slices. Sprinkle on a little more parsley and return all this to the broiler for a minute to let the cheese get a bit melty. That’s it, friends. 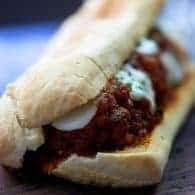 Devour those crockpot meatball subs! Italian Pasta Salad: You can’t go wrong with this classic! Spaghetti Recipe: This one is made in one pot and just beyond easy! Alfredo Sauce: Truly the best! Mac and Cheese Casserole: Wait until you see the creamy layer of goodness in the center of this mac and cheese! Homemade meatballs made in the crockpot are perfect for stuffing inside a toasty hoagie roll. 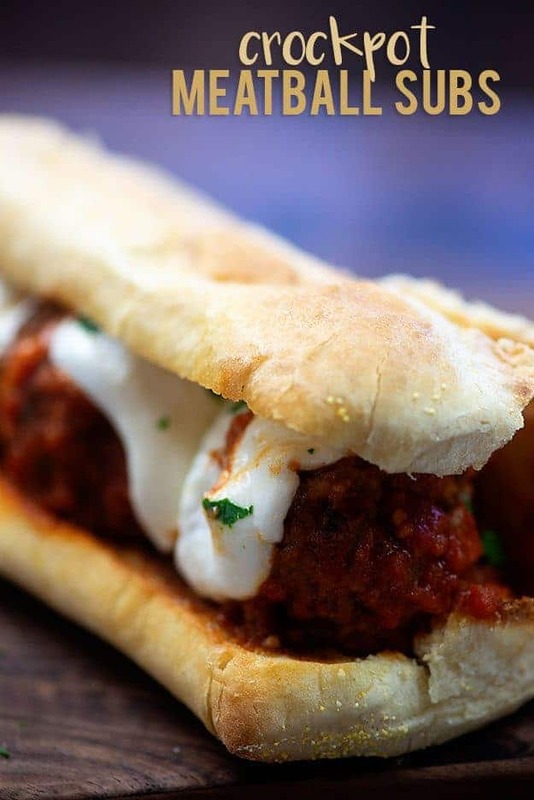 These meatball subs are a favorite around here. Add the ground beef, pork, bread crumbs, Parmesan, parsley, garlic, onion, and egg to a large mixing bowl and combine well with your hands. Do not overmix. Separate the mixture into 12 equal sized chunks and roll into meatballs. Place meatballs on prepared baking sheet and bake for 10 minutes. Add all of the sauce ingredients to a 6 quart slow cooker and stir well to combine. 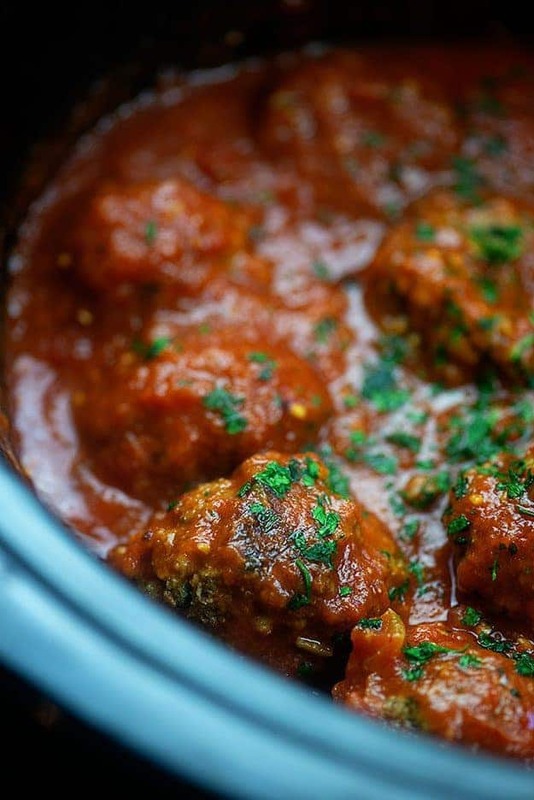 Remove the meatballs from the oven and place in the slow cooker with the sauce. Open the hoagie rolls and butter the insides of each roll. Sprinkle evenly with the garlic salt, about ½ teaspoon per roll or to taste. Place opened hoagie rolls on a large baking sheet under the broiler and broil until as toasted as you’d like. Keep a close eye on the bread as it will go from toasted to burnt very quickly. Remove the bread from the oven and add meatballs to the bread. Top with a spoonful of sauce. Top each sandwich with 2 slices of fresh mozzarella and a sprinkling of parsley. Return to the broiler for 1 minute to let the cheese soften. Add more red pepper flakes for a spicier tomato sauce. Use Hawaiian rolls to make meatball sliders instead of subs. Yum! My crockpot meatballs turn out too salty sometimes, so I like using the can of crushed tomoatoes. Definitely on our menu this week! I’m so craving one of these right now! Your hoagie roll looks perfect! Love how you butter and toast the inside of it too! Yum! Love this idea for game day. Pinned! 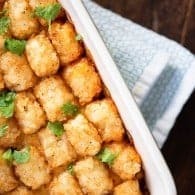 I love that these can come out so good in a crock pot! Nice and cheesy, too. YUM. 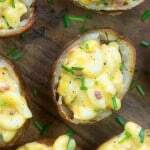 Such and easy dinner for busy weeknights! I always need more of those! These look amazing Karly! 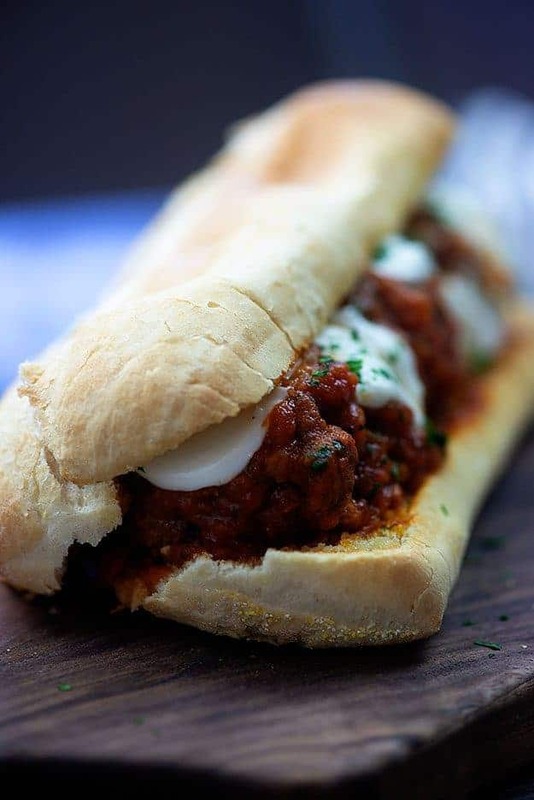 Always hard for me to resist a comforting meatball sub! I made these Cheesy Meatball subs tonight! Love, Love Live them! Tastey and Moist! Usually my meatballs are tough! These were melt in your mouth full of Flavor! I will definitely make these again! Thank you Karly! Oh YUM! Just made this today and what a Hit! We both loved these crock pot meatballs. This will become a weekly winter supper! Thank you! Wow, these look amazing! Can’t wait to try this recipe out. These look delicious Karly. 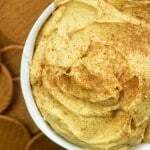 As a proud owner of a Crockpot Express this looks like a must try recipe. I can even brown/sauté with this one so no oven needed. Thanks Karly!